Investors face another turbulent year after being battered in 2018. The ultra-conservative who kept their money under the proverbial mattress or in an almost zero per cent interest bank account are probably those who suffered least as both bonds and equities had one of the worst years in the last decade. So what are the prospects of positive returns in 2019? One reality that we can never escape is that the world of politics and finance are intertwined. What happens in the political world in the next 12 months will affect the return that investors will ultimately get. The geopolitical risks of 2019 are numerous and not easy to resolve. Let us review some of these hotspots. 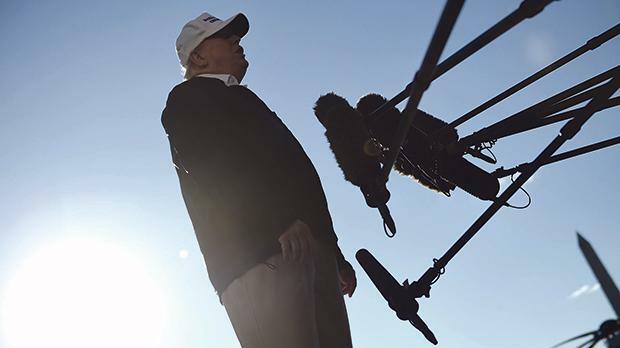 US president Donald Trump will continue to dominate the global political developments as he digs in his heels and promotes more protectionist and populist policies. The trade war with China will hurt global trade if it continues to escalate. This development is further complicated by serious allegations that China is escalating cybersecurity risks as it aims to become the world’s most powerful superpower. With the Democrats taking control of the US House of Representatives we may well see the US political system paralysed with possibly an impeachment process being started to remove the US President. This development will not be good for world trade and could well lead to further volatility in financial markets. Nearer to home it is anybody’s guess as to what will happen in the UK. Whether the UK will opt for a soft or a hard Brexit, it will affect European businesses beyond March 29 when the divorce date should take effect. I still hope that the UK’s split with Europe will not be acrimonious because the world still needs a strong Europe to balance the evolving negative trends in global politics. My main geopolitical concerns are more about the weakening of Germany and France as Europe’s moral leaders. With French President Emmanuel Macron still facing social unrest and German Chancellor Angela Merkel’s imminent departure from the EU leadership scene, many fear that the governance of the EU will suffer even more as no other European leader has the same moral stature as Macron and Merkel. We face five months of electioneering as candidates for the European Parliament will parade on our TV screens, promising us they will energise the EU if elected. I have serious doubts about how much weight to give to these promises as the structural flaws that undermine the Union continue to threaten its very existence. Who is to blame ordinary citizens who believe that most of their representatives in Brussels are there to enjoy the perks provided by the EU taxpayer-financed gravy train? Populist parties will probably have a much stronger representation in the EU’s governing bodies following the EP elections in May. Many will eventually be disappointed with this development as the new kids on the block will prove that they are no better than the previous lot. Mediocre leadership seems to have become endemic in the EU as in the rest of the world. Despite these geopolitical hotspots, many analysts agree that a global recession in 2019 is still unlikely even if slow growth in the EU, the US and emerging markets will dampen the enthusiasm of most investors. As long as interest rates remain low, most businesses will survive even if sovereign debt of countries like China, Brexit-hit Britain and Italy may take a battering. The big unknown is risks that may not yet have been identified. The worst risk is that which everyone knows exists but has not yet been properly understood. The US withdrawal from the global scene as it becomes more introspect may be the start of new tensions in the Middle East, the Korean peninsula and Eastern Europe. As long as Trump remains commander-in-chief, global political turbulence cannot be excluded. So what decisions should investors be taking? Every investor has a particular risk tolerance level. For those who cannot afford to lose even one per cent of their capital, they should continue to put their faith in cash or quasi-cash as their refuge from capital destruction. If they place their money in a bank account, they need to make sure that the bank they choose is covered by the deposit guarantee scheme. Others will see the present bleak geopolitical challenges as an opportunity to take risks as stocks in most markets, especially the US, now look cheap even if some may argue that this is no better practice than gambling.